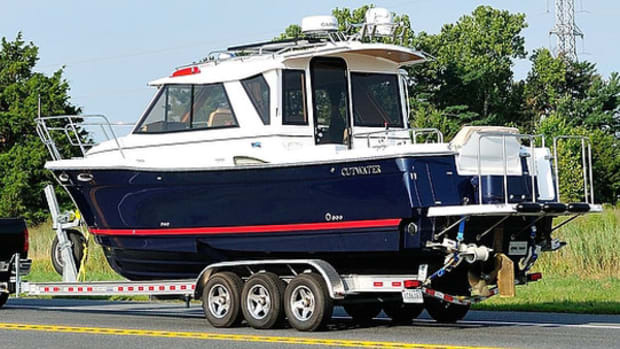 What defines a Down East boat? To find out, we went to Maine. A cluster of builders on Maine’s Mount Desert Island still do it the old way. The Patriot 36 made by Ellis Boat Company for singer/songwriter Billy Joel. 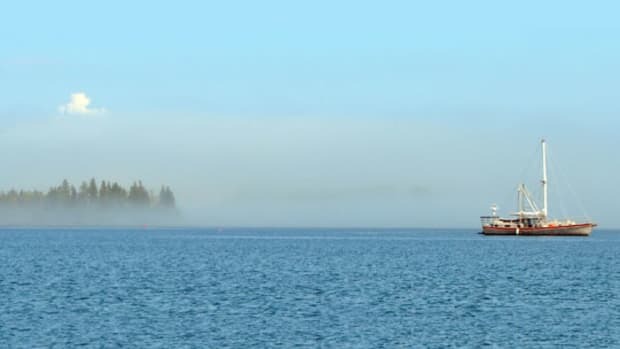 At the southwestern end of Mount Desert Island, Maine, past the Bass Harbor Head Lighthouse, sits Thurston’s Lobster Pound. 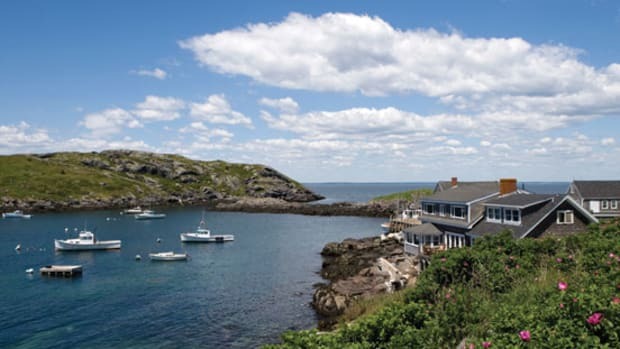 Here patrons sit shoulder to shoulder at picnic tables and look out on a working harbor, its moorings occupied by lobster boats that supplied the marine crustaceans on which they’re feasting. A series of neat, wood-framed homes, stacks of lobster traps and work buildings are scattered on the opposite shore. Just beyond that, all one can see is the deep green of Acadia National Park. The setting is picture-postcard Maine. The Bass Harbor Light is said to be the most photographed lighthouse in Maine, and maybe all of New England. The light and its keeper’s pitched-roof house have remained the same since 1900; however, the light has been unmanned since automation took over in 1974. I thought about this as I hopscotched the rocks at the lighthouse’s base. 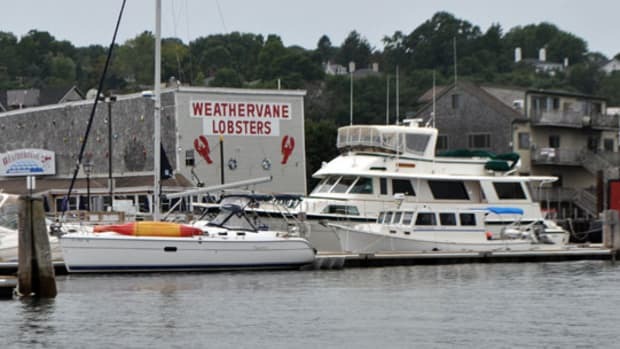 Automation, it seems, is arguably the antithesis of Maine’s signature vessel, the lobster boat, and the way it’s built. 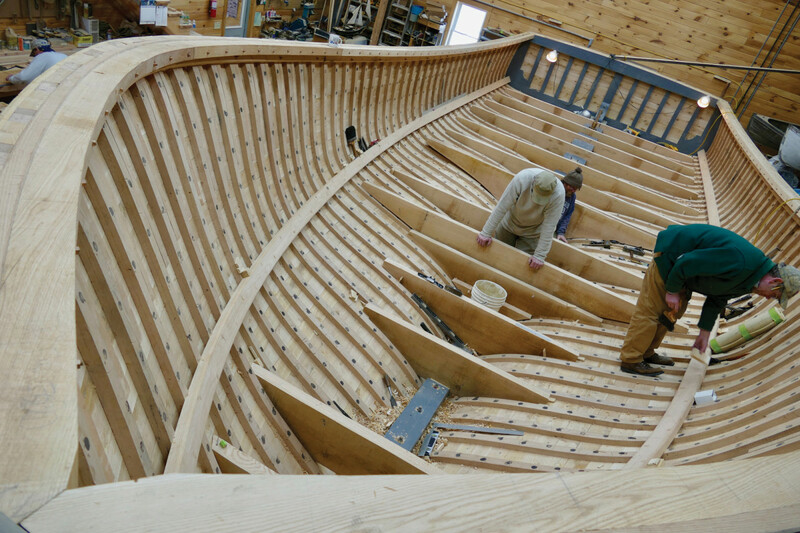 Here in Maine, the art of boatbuilding is a skill that’s passed down from one generation to the next, and each craftsman begins his education simply by living in this corner of the world, among some of the best builders in the country. It’s hard to calculate how many builders there are in the state—with its 3,478 miles of coastline—and on Mount Desert Island alone, where there’s an interesting mix of established names with large production runs and international recognition, as well as many small, boutique-style companies. Each time I visit here, I come across another cedar-shingled shop with its barn doors open revealing vessels under construction or restoration. 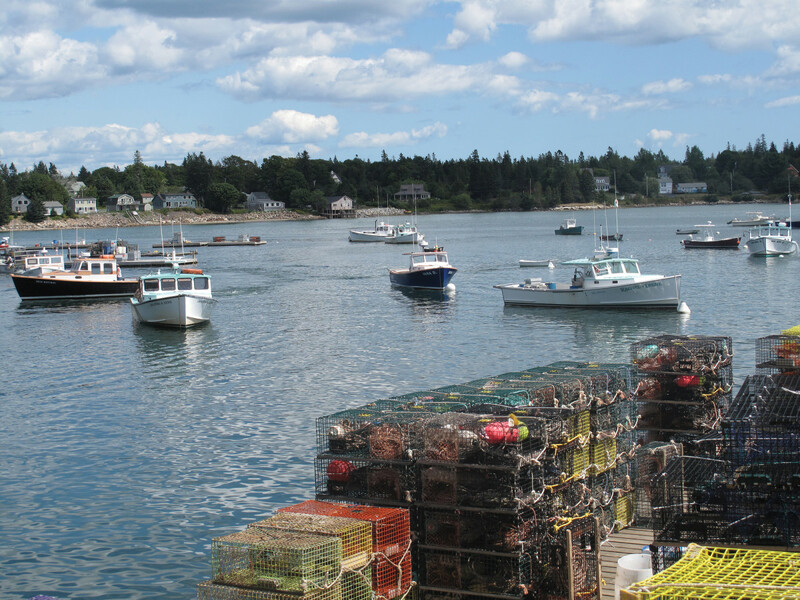 A typical working harbor in Mount Desert Island. I was here to find out what defines a Down East boat. 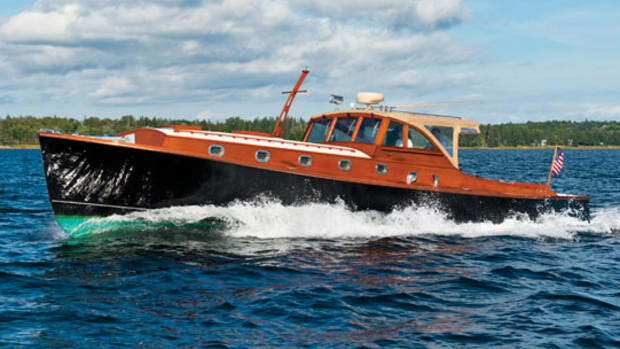 The term is no longer reserved for the semi-displacement, single-engine, full-keel workboats run by lobstermen. Over the last 20 years or so, Down East has become associated with a certain style of boat, which various builders have been interpreting in their own way. Some of these boats aren’t even built in New England. There’s the Italian-made, hot-as-Mt. Stromboli Mochi-Craft Dolphin series, for instance, and the Malaysian-built Eastbays by Grand Banks. I recognize and appreciate the design homage, but I wondered what the traditionalists here in Mount Desert thought. “You gotta look below the waterline,” said Shane Ellis, as we eyed an Ellis 36 in front of the shop’s Southwest Harbor shop. 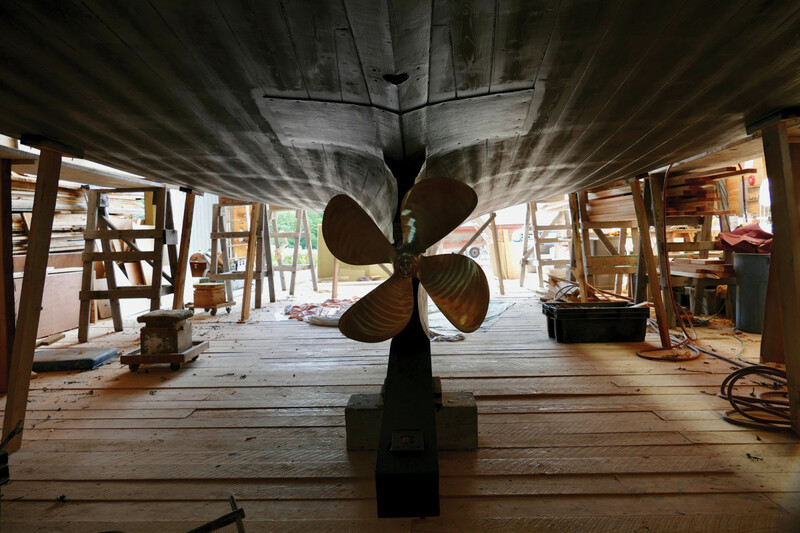 “A single prop and full keel is what is seen as a traditional [Down East] boat.” His father, Ralph, ran Bunker and Ellis, names synonymous with wooden boatbuilding in the area. While Bunker and Ellis started out building primarily workboats for the island’s lobstermen, the gorgeous sweeping sheer and graceful tumblehome on the commercial craft eventually found its way into the recreational builds that continue to inspire the vessels produced at Ellis today. 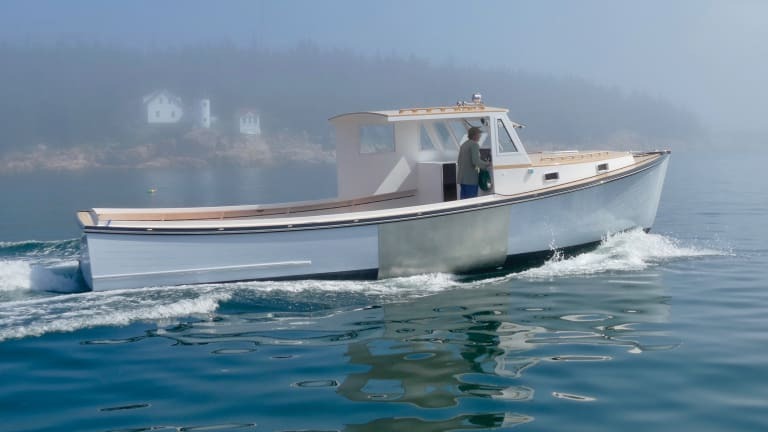 “We adopted much of the philosophy from the commercial lobster boat into hull designs that worked well for pleasure boats, and we’ve really come a long way with our 36,” said Ellis, speaking of the yard’s most popular model. Hulls are still made from wood at the Richard Stanley yard. This builder was also a holdout against fiberglass construction. Ellis recalls a plaque at the old shop that read, “If God wanted fiberglass boats, he would’ve planted fiberglass trees.” The company eventually made the switch from wood to glass in the late 1970s, much later than Jarvis Newman, another of the island’s venerable builders. You’d be hard-pressed to find a builder here that hasn’t fully embraced synthetic construction. As I sat down yet again at Thurston’s (it’s hard to beat the lobsta roll) and looked across the harbor, I saw a bonafide traditionalist in plain sight—a classic Richard Stanley custom boat. It was fitting that when I pulled up to the Richard Stanley yard, the Grateful Dead’s “Wharf Rat” cued up on my car stereo. Like many of his cohorts, Stanley has been hanging around boat sheds for most of his life. He’s held fast to the local, old-school tradition of craftsmanship, as his workboat hulls are still made exclusively from wood. I was lucky to catch Stanley as he was boarding his latest custom vessel, the 38-foot National Pride. It was his first in a series utilizing a fiberglass deckhouse. His refit work, as well as conversations with old salts, taught him that damage in a wooden hull often starts with a poorly maintained, leaky pilothouse. 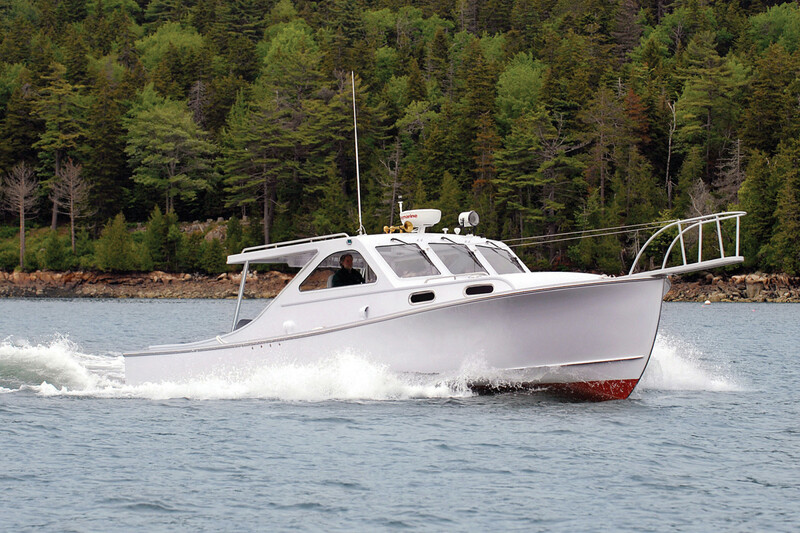 The 38 is pure workboat, built for what one might call a “gentleman lobsterman” who wants a traditional vessel. 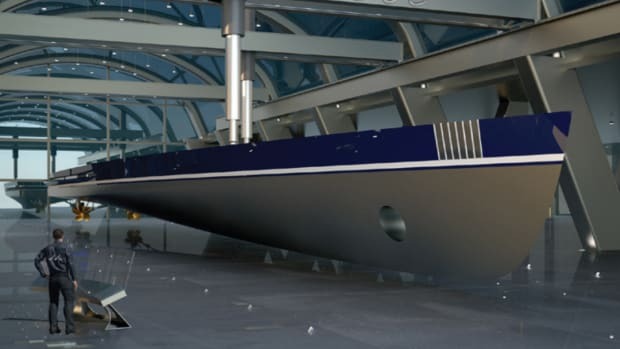 Her striking, cedar-lined cockpit is “like the [wooden] hull, and absorbs vibration unlike fiberglass. That material passes the vibration onto the hips and knees of the operator and crew,” said Stanley. 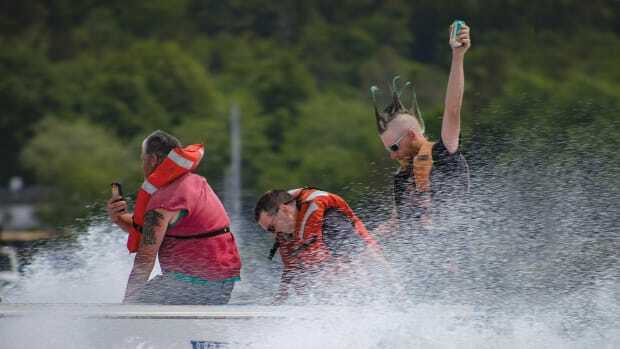 He’s a modest gentleman, but it was hard not to see his immense pride in the boat as he stood at her helm. “A traditional Down East boat is built with a full keel, designed to fish the North Atlantic and bring you home safely,” said John Kachmar. While Ellis and Stanley were born into boatbuilding, Kachmar entered the profession via marriage, when he and his wife, Ingrid, purchased Wilbur Yachts from her parents, Lee and Heidi. Less than a mile down the road from Jarvis Newman’s original location in Southwest Harbor (Jarvis was close friends with Lee), the Wilbur shop is busy with refit work on many of its own designs for longtime clients. 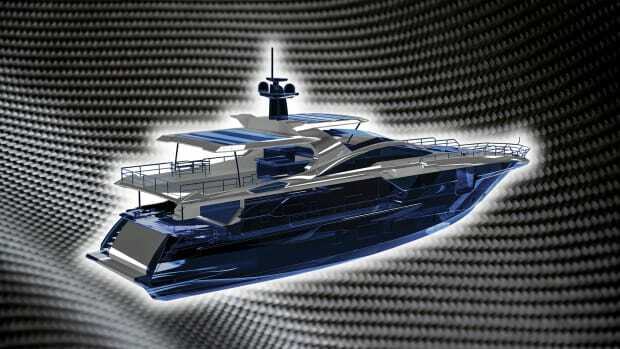 As it is at Ellis, new builds here are recreational models and incorporate carbon fiber into the pilothouse construction. But, “we still do the old school stuff,” said Kachmar. Fortunately, the boutique-style builders of Mount Desert Island have supportive fans. 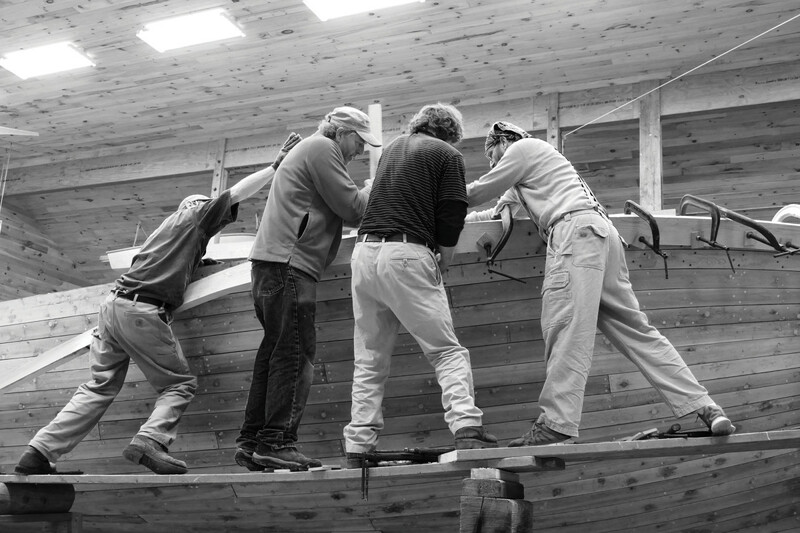 In 2005, the advocacy group Maine Built Boats was established to strengthen and expand Maine’s boatbuilding industry, which accounts for about 5,000 jobs and $650 million per year. Thanks to groups like Maine Built Boats and the incredible work that traditional builders are known for, I can’t help but think the Maine tradition is one that will continue for a long time to come.